Christmas Markets and events are in full swing. In fact, we have FIVE festive events that need to be on your radar screens this week. And while they may not all take place in Sandton, we feel that some things are worth the drive! JANICE HONEYMAN’S SNOW WHITE (15 November – 23 December) – Don’t miss this enchanting production with its stunning sets, beautiful costumes, breathtaking special effects and loads of comedy. 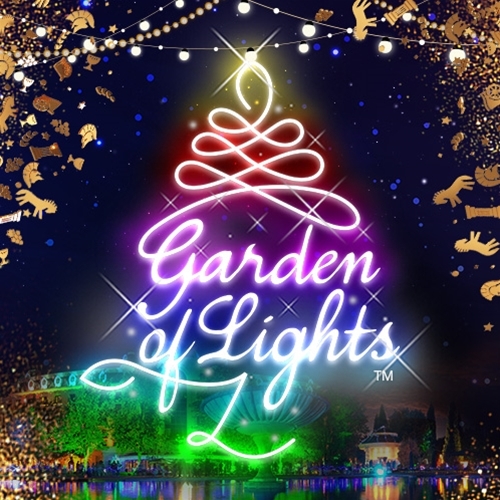 GARDEN OF LIGHTS (Friday 30 November – Tuesday 2 January) – Meet all your favourite Christmas characters including Santa Claus, Mrs. Claus, The Magical Fairy, Mr. Snowman, Santa’s Special Elves and the Garden Princess. Visit the Enchanted Garden before stopping off at the Mystic Castle and Magic Sweet Shop, heading for the North Pole and peeking into Santa’s Workshop to see the elves tinkering on presents for Santa’s List. PARKVIEW CHRISTMAS MARKET (Friday 30 – Sunday 2 December) – Plan to spend loads of time browsing and shopping before sipping champagne and sampling oysters while enjoying the live music on offer! WALTER SISULU CHRISTMAS CAROLS & MARKET (Saturday 1 & Sunday 2 December) – Enjoy browsing through a variety of food, arts, crafts and gifts before singing along to your favourite Christmas Carols. Plus, The Welsh Male Voice Choir of South Africa will be there to entertain you from 4pm! THE WANDERERS CHRISTMAS MARKET (Sunday 2 – Sunday 9 December) – The Wanderers Christmas Market is always a win! Featuring stunning stalls with handmade goodies, free parking, a playroom for kiddies while you shop, and the option to enjoy a relaxed breakfast, lunch or dinner at the restaurant when you are done, this is a fabulous festive must-visit!